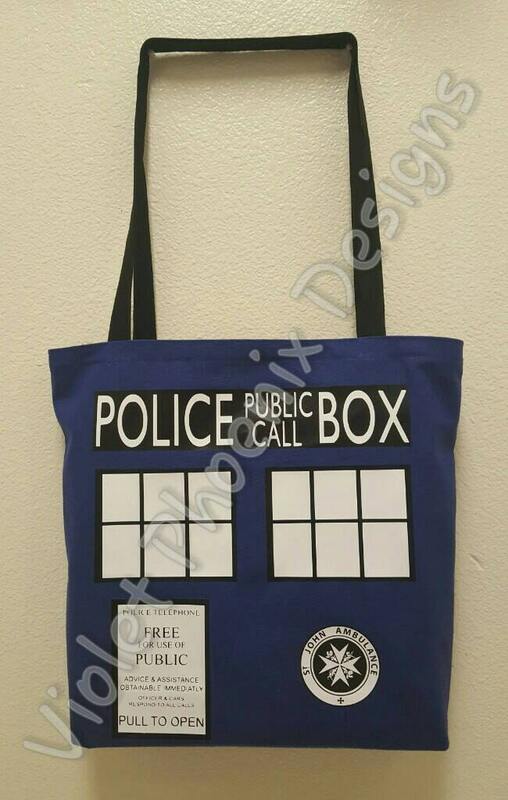 Show your police box collector pride with this amazing tote! As versatile as a multi-function screwdriver, this tote bag is constructed of durable 100% cotton canvas. Each tote is 14 inches deep, 16 inches tall, and 4 inches wide, and is carefully handmade in the USA. This tote bag sports not only proper police box windows and police sign but the rare and hard to find Door Decal with the ambulance association information! All of the work is done in heat pressure vinyl for durability and beauty but can also be upgraded to embroidery if you so desire! Out of your price range? If you are looking for actual embroidery patches we can do that! Check out these other handy listings to choose the perfect patch for your needs.